Paul Amlin used Sandvox to build this website. He chose the “Sugar Green” design for the site. People may want to visit the site if they are looking for A church home, faith development, making connections with others. Information about Faith Lutheran Church and our ministries. We want to connect people with God and provide a community atmosphere that encourages discipleship. Who is the target audience for your website? Our target audience is all people who are interested in being a part of a faith community in Marion, Iowa. What is the advantage of your website over others? Our web site is comprehensive and includes information about all aspects of our community including sermon Podcasts and daily devotional resources. Tell us a story about this website. We have had people join us for worship on Sunday morning because they were able to open the virtual doors of our church via our web site. Why did you use this Sandvox design? We chose this design because it's very clean and easy to navigate. What techniques did you use to build this website? I chose the core menu items to include and then built sub pages within these core menu items to ease navigation. This website was created by Paul Amlin of Marion, IA. 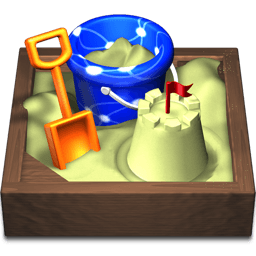 Sandvox is hand-crafted by the team at Karelia Software. We’ve been building award-winning apps since 2001.